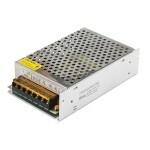 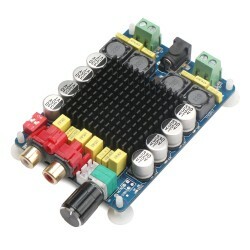 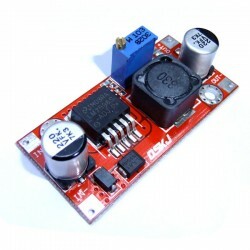 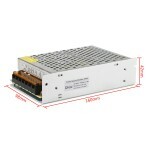 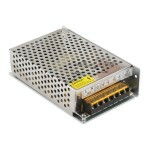 It is a 13W Buck Converter/Power Supply Module/Adapter/Driver Module, Input voltage: DC 4.5~35V, .. 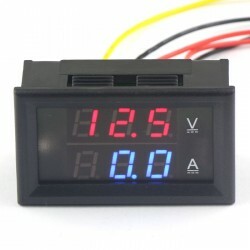 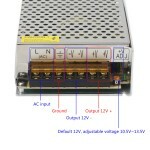 It is a 2in1 Volt Amp Panel Meter, Measure Voltage Range DC 0-300V,Measure Current Range 0-50A fo.. 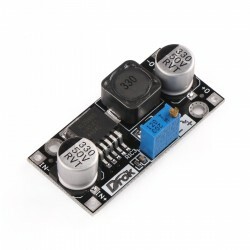 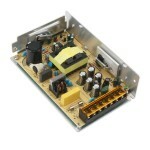 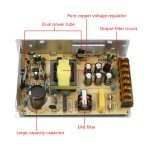 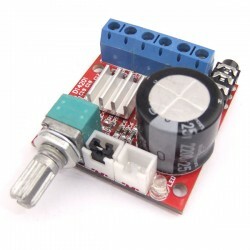 It is Buck Converter Adjustable Voltage Regulator/Driver Module, Input voltage: DC 4.5~40V, Output v.. 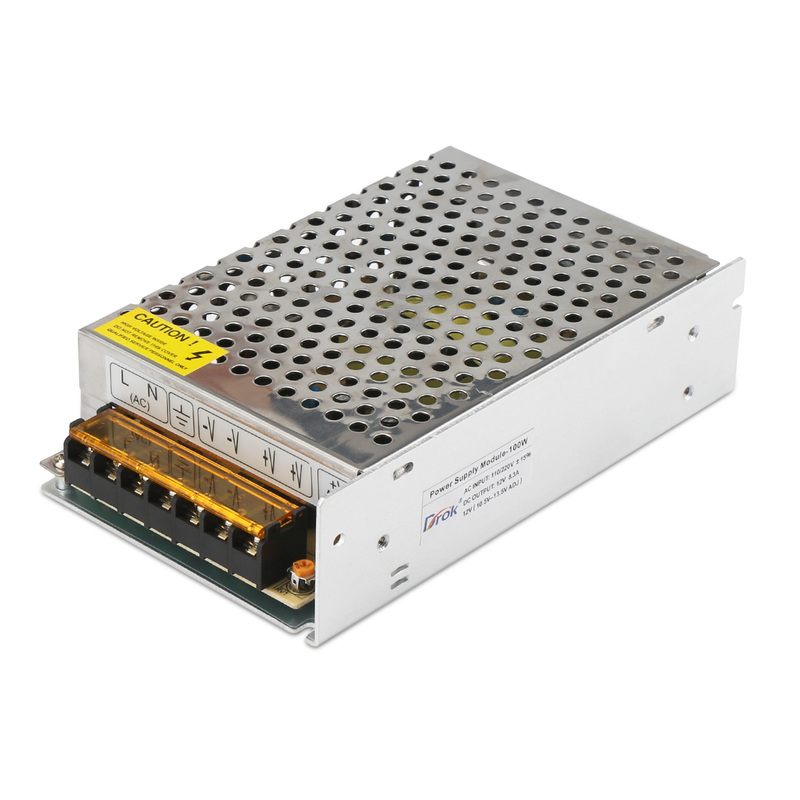 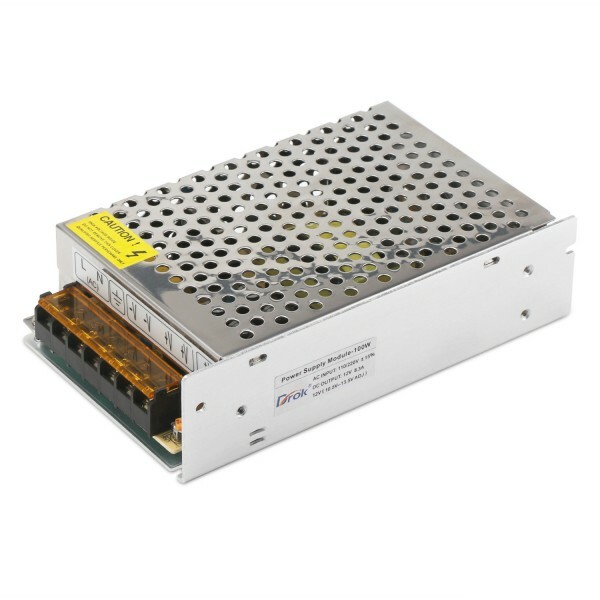 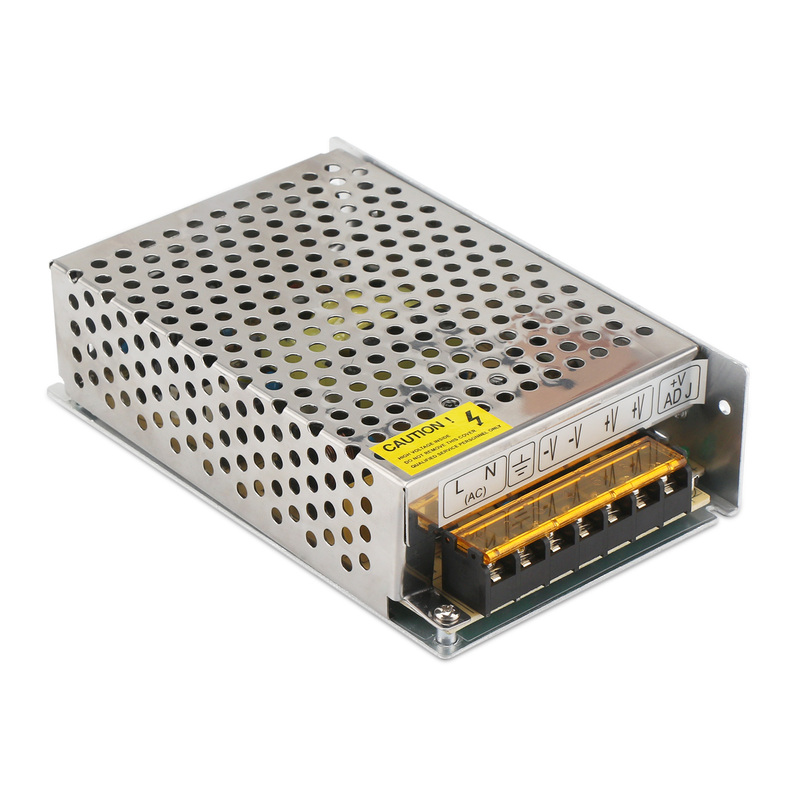 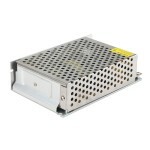 It is a 100W Switching Power Supply/Adapter/Power Converter, Input Voltage: AC110/220V ±15%, Output Voltage: DC12V, Output Current: 8.5A max, Application: Widely used in light strips, LED billboards, LED display, Luminous characters, monitoring and so on. 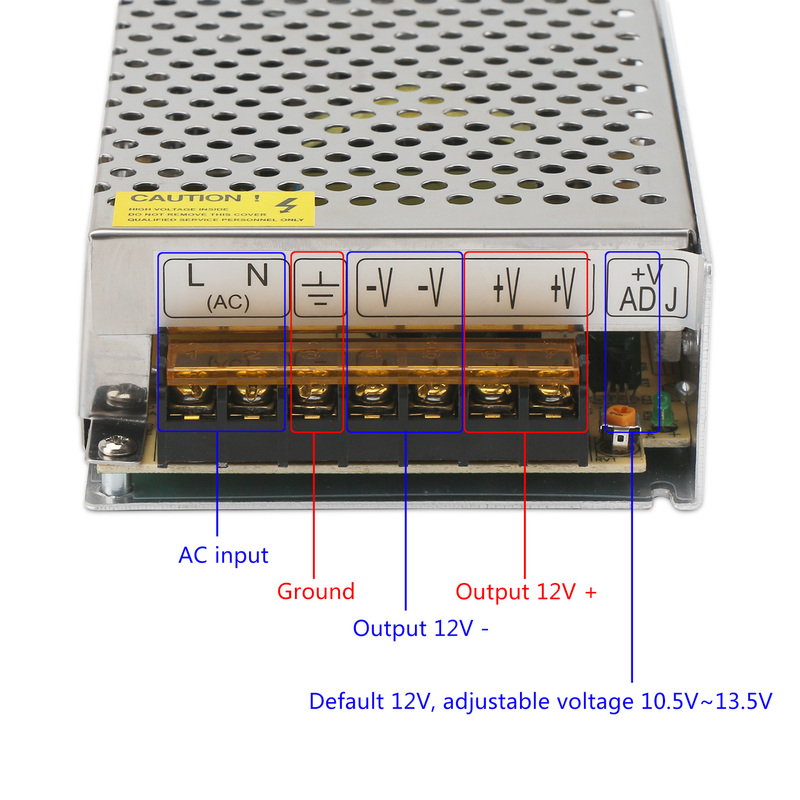 Wide input range of AC110~220V, default output voltage is DC 12V, 8.3A and can be adjusted from 10.5-13.5V, output power is 100W. Equipped with dual power tube, large-capacity capacitors, pure copper transformer and EMI filter, these solid components make it work more stable and efficiently. 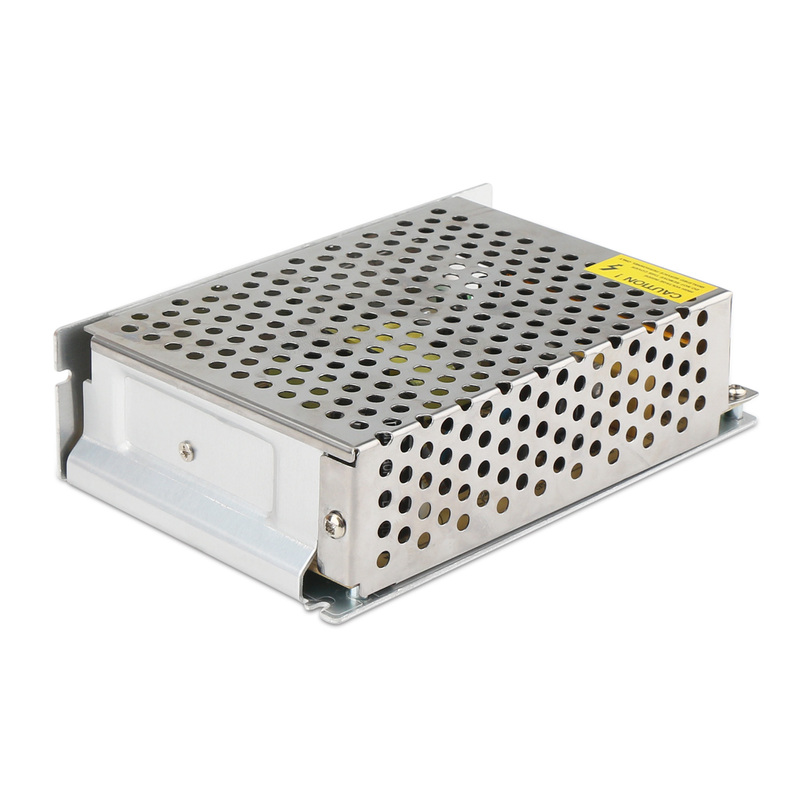 Application: Widely used in light strips, LED billboards, LED display, Luminous characters, monitoring and so on.